I think today was the first day I truly began to understand why I am doing this. I think the answer has eluded me insofar because it is quite simple. When I first tried to write about why I am doing this, I produced this wordy statement: To embark on an epic adventure into the great unknown so that I may be confronted with a diversity of experiences that challenge me mentally, physically and spiritually and ultimately give me the tools with which I can continue to construct a happy, successful life. This might sound great, but it speaks more to the effects of the adventure rather than its cause and it fails capture the underlying reason why I am putting myself through this. So, why am I doing this? When it comes right down to it, I am doing this because the vision of riding a bicycle all the way around the planet naively entered my head and I knew that I would forever regret it if I didn’t give it a go. This adventure is simply me giving it a go. Mate you’re on the right track – literally and mentally 🙂 Wait to you hit overseas it will be awe inspiring and overwhelming in completely new ways. 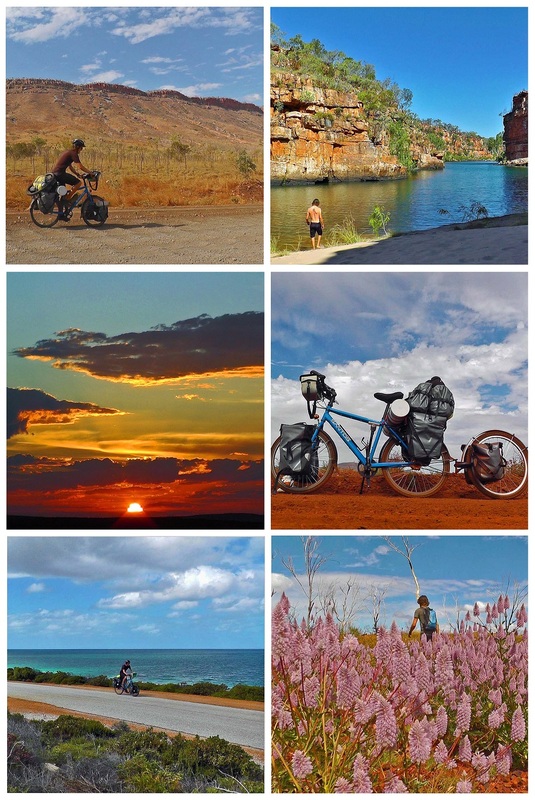 I’ve done a bit of touring in Australia and overseas (UK and Europe) in younger days – haven’t got a journal of it – but if you want a really fun read about cycling overseas check out http://goingslowly.com/ if you haven’t already seen it. I remember on one of my tours (Toowoomba – Gladstone) in 1985 with some school mates – we stopped in at a shop to get a drink and the bloke came out afterwards and said “I hope you find what you’re looking for” – and I thought at the time I’m not actually searching for something, but it was a really nice thing for him to say. And I’m sure you’ll find what you’re looking for – even if you’re not looking for it! All the best – and keep up the great journalling! Hi Scot. Yeah it’s funny. On the one hand I’m not actually searching, just having a look…but on the other hand so many answers are coming in thick and fast that I may as well be searching for what I want in life! It was early on in my research that I came across Going Slowly and recognised it as one of the better records of cycle touring. I will have to check back in and see what happened with the house they started building (which is the last thing I remember reading). Thanks got the kind words. Now I’ve started the daily thing I can’t stop it so plenty more to come! Wow – and now I’ve just read your disclaimer – you’re in Thailand – that’s great!! It would be great if you could bring your journal up to real time – or with in a week of it – so we can follow and interact as closely as possible! But either way keep up the great work!